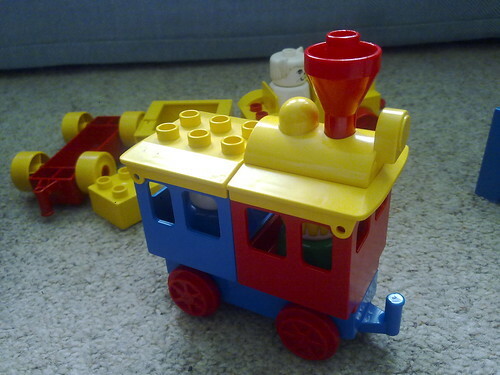 Another advantage of visiting my parents’ house is that it holds the national archive of early 1980s Lego and Duplo. My two year-old daughter is really getting into it, and this time put together this interesting creation while our backs were turned. It might be a little bit out-of-gauge, but it does show that I am getting in there with that narrow gauge slash light railway influence early!